Sac River Late Fall King salmon is fishing wide open! Big Sacramento River King salmon are crushing plugs in the Anderson area! Call today and book your Late Fall salmon fishing trip! The salmon season ends in (4) weeks! 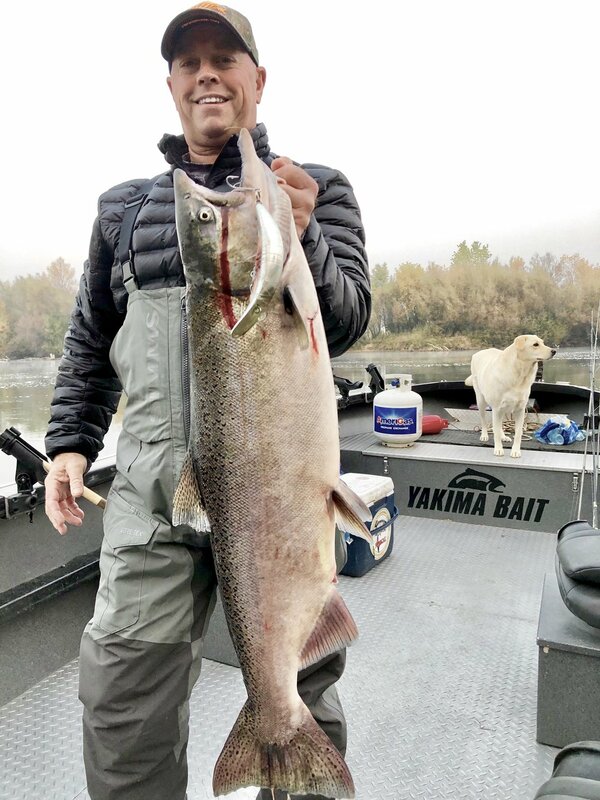 Sacramento River King salmon are crushing big plugs in the Anderson area right now and we’re seeing one of the best late fall king salmon seasons in years! No crowds and plenty of beautiful chrome bright fish. Silver sides mean red meat and thats what we’re seeing daily now. The limit is one fish per person, but we’re seeing limits most days and the fish are running 15 to 30 lbs! Thats a lot of meat for the smoker or bbq this holiday season! We’re seeing ocean fresh fillets from these bright King salmon! There are more big fish on the way and if this rain next weeks provided a little water color, we should see a big push of salmon the last few weeks in December, if not before. Call today and book your Late Fall salmon fishing trip! We have a few boats available with top guides at the helm to get you into some great fishing! The salmon season ends in (4) weeks, but our winter steelhead season lasts all winter! Top Sacramento River fishing guide, Kenny Turner is putting clients on some great Kings. We have several dates available this next week into the last week in November. We also have several days left in the first two weeks in December before the salmon season ends. Newer PostShasta Lake browns are back on the bite! Older Post700K more fall Kings for the Sacramento River!